Thats all. 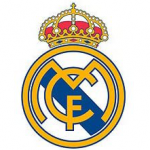 Game finished - Huesca 0, Real Madrid 1. Second Half ended - Huesca 0, Real Madrid 1. 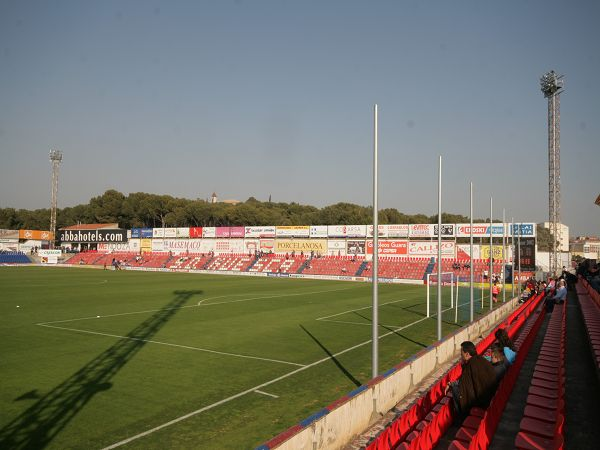 Corner - Huesca. Conceded by Daniel Carvajal. Shot blocked. Christian Rivera - Huesca - shot with right foot from the centre of the box is blocked. Corner - Huesca. Conceded by Thibaut Courtois. Serdar Gurler - Huesca - won a free kick on the left wing. Offside - Huesca. Moi Gómez with a pass, however Jorge Pulido is in offside. Juan Camilo Hernández - Huesca - won a free kick on the right wing. Missed chance. Juan Camilo Hernández - Huesca - shot with left foot from the centre of the box is high and wide to the left. Assist - Samuele Longo. Missed chance. Jorge Pulido - Huesca - shot with right foot from the left side of the box goes high. Assist - Christian Rivera. Substitution - Huesca. Samuele Longo for Ezequiel Ávila. Daniel Carvajal - Real Madrid - won a free kick in defence. Pablo Ínsua - Huesca - receive yellow card for a foul. Shot blocked. Serdar Gurler - Huesca - shot with right foot from the right side of the box is blocked. Substitution - Huesca. Serdar Gurler for David Ferreiro. Missed chance. Xabier Etxeita - Huesca - shot with the head from the centre of the box missed to the left. Assist - David Ferreiro with a cross after corner. Corner - Real Madrid. Conceded by Aleksandar Jovanovic. New attacking attempt. Gareth Bale - Real Madrid - shot with left foot from the left side of the box is saved by goalkeeper in the centre of the goal. Assist - Isco. Substitution - Real Madrid. Isco for Luka Modric. Offside - Huesca. Juan Camilo Hernández with a pass, however David Ferreiro is in offside. Corner - Huesca. Conceded by Gareth Bale. Corner - Huesca. Conceded by Marcos Llorente. Offside - Real Madrid. Gareth Bale with a pass, however Karim Benzema is in offside. New attacking attempt. Gareth Bale - Real Madrid - shot with left foot from outside the box is saved in the right corner. Assist - Sergio Ramos. Offside - Huesca. Jorge Pulido with a pass, however David Ferreiro is in offside. Substitution - Real Madrid. Federico Valverde for Dani Ceballos. New attacking attempt. David Ferreiro - Huesca - shot with right foot from the left side of the box is saved in the top left corner. Assist - Ezequiel Ávila. Shot blocked. Ezequiel Ávila - Huesca - shot with right foot from outside the box is blocked. Assist - Jorge Pulido. Shot blocked. Lucas Vázquez - Real Madrid - shot with right foot from outside the box is blocked. Assist - Marcos Llorente. New attacking attempt. Ezequiel Ávila - Huesca - shot with right foot from outside the box is saved in the left corner. Assist - Jorge Pulido. Corner - Real Madrid. Conceded by Christian Rivera. Missed chance. Gonzalo Melero - Huesca - shot with the head from few metres is close, but missed to the left. Assist - David Ferreiro with a cross. Second Half starts Huesca 0, Real Madrid 1. First Half ended - Huesca 0, Real Madrid 1. Xabier Etxeita - Huesca - receive yellow card for a foul. Moi Gómez - Huesca - won a free kick in defence. Dani Ceballos - Real Madrid - receive yellow card for a foul. Marcos Llorente - Real Madrid - won a free kick in defence. Offside - Real Madrid. Raphael Varane with a pass, however Dani Ceballos is in offside. Corner - Real Madrid. Conceded by Gonzalo Melero. Álvaro Odriozola - Real Madrid - won a free kick in defence. Offside - Real Madrid. Lucas Vázquez with a pass, however Álvaro Odriozola is in offside. Álvaro Odriozola - Real Madrid - won a free kick on the right wing. Daniel Carvajal - Real Madrid - won a free kick on the left wing. Daniel Carvajal - Real Madrid - receive yellow card for a foul. Juan Camilo Hernández - Huesca - won a free kick in attack. New attacking attempt. Gareth Bale - Real Madrid - shot with left foot from outside the box is saved in the top right corner. Assist - Álvaro Odriozola. 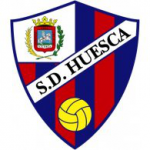 Substitution - Huesca. Gonzalo Melero for Juan Aguilera - injury. New attacking attempt. Ezequiel Ávila - Huesca - shot with right foot from the centre of the box is saved in the right corner. Assist - Moi Gómez. Offside - Huesca. Aleksandar Jovanovic with a pass, however David Ferreiro is in offside. Moi Gómez - Huesca - won a free kick in attack. David Ferreiro - Huesca - won a free kick on the left wing. Goal! Huesca 0, Real Madrid 1. Gareth Bale - Real Madrid - shot with left foot from the left side of the box to the right corner. Assist - Álvaro Odriozola with a cross. Lucas Vázquez - Real Madrid - won a free kick in defence. Missed chance. Xabier Etxeita - Huesca - shot with the head from the centre of the box is close, but missed. Assist - Pablo Ínsua with a head after corner. Corner - Huesca. Conceded by Sergio Ramos.